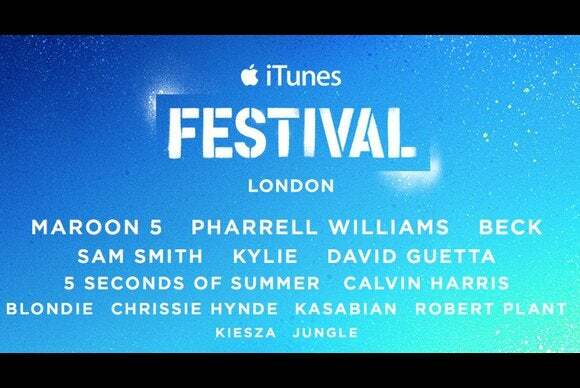 Music fans—especially those based in the United Kingdom—will be glad to hear that, for the eighth year running, Apple plans to hold its massive iTunes Festival in London. The event will feature more than 60 acts performing throughout the month of September at the city’s Roundhouse. Among this year’s featured artists are Maroon 5, Pharrell Williams, Beck, Blondie, and many more. Tickets are, as ever, free, but are available only via contests, either those run by the company’s partners like Global Radio and the London Evening Standard, or by entering ballots on iTunes. If you don’t end up netting a ticket or aren’t in the UK, all is not lost: You can watch the performances either live or on-demand on your iOS device, Mac, or in HD on the Apple TV. Earlier this year, Apple for the first time brought a version of the iTunes Festival to the U.S. with a week of live performances at the South by Southwest conference in Austin. More information is available at the festival’s website or via the festival’s Twitter account.